Insomnia is difficulty falling asleep or staying asleep, or trouble getting restful, uninterrupted sleep. It’s the most common sleep disorder in the United States, with short-term insomnia affecting nearly 1 in 3 adults and long-term, chronic insomnia affecting 1 in 10 adults. According to the Centers for Disease Control, up to 70 million Americans experience insomnia to some degree. This frustrating sleep disorder can also disrupt the normal sleep of children and teens. Do you have insomnia? If you’re unhappy with the quality or duration of your sleep, you may well be among the numbers cited above. However, don’t panic. It’s important to note that there are multiple forms of insomnia, and this sleep disorder may be temporary or chronic. Either way, you can improve your sleep with the help of a sleep specialist. The first step is to track your symptoms and see if you’re likely to have insomnia, and if so, which type. Feel alert and wide awake at bedtime, often with racing thoughts? Find yourself waking often during the night, with trouble getting back to sleep? Find yourself waking fully too early in the morning, hours before your alarm clock? Toss and turn during the night? Suffer from fatigue and low energy during the day? Have “brain fog” or an inability to concentrate or remember things? Experience headaches during the day? Have excessive daytime sleepiness (including an overwhelming desire to nap, or nodding off while driving)? Feel irritable, moody, or impatient? Suffer from depression and anxiety? Feel distressed about your lack of restful sleep? These are some of the more common signs and symptoms that you may be sleep deprived from insomnia. However, note that several of these symptoms overlap with the symptoms of other sleep disorders and behaviors such as sleep apnea or bruxism (tooth clenching and grinding). Other medical conditions may also be contributing; for example, it’s possible your insomnia may be the cause of your mood fluctuations, but it’s also possible that the insomnia could be a symptom an underlying psychological condition such as major depression. Insomnia is complex. Surface symptoms are a good indicator of the sleep disorder, but they don’t paint the full picture. Your insomnia could be short-term, caused by some temporary life stress such as school or work, moving house, relationship troubles, or starting a new job. Or it could be chronic, which may point to an underlying circadian rhythm disorder, nervous system problem or psychological cause. It’s also possible you have more than one sleep disorder happening at once, such as insomnia and obstructive sleep apnea (OSA). This complexity is why it’s important to consult with a physician. Sleep physicians generally see two main types of insomniac behavior in patients: difficulty falling asleep and difficulty staying asleep. Before you visit a sleep specialist to seek diagnosis and treatment, ask yourself: which kind of insomnia behavior or pattern do I have? Are you the type of person who stares at the wall or the alarm clock all night, waiting to fall asleep? Do you need to watch TV in bed for a couple hours in order to get drowsy, or spend hours reading a book? Are your thoughts racing at bedtime? If so, you may have sleep onset insomnia. Are you able to fall asleep quickly—maybe even the moment your head hits the pillow—but you wake up once or multiple times throughout the night, and then struggle to get back to sleep? (The classic example is the “3:00 A.M. awakening.”) In the middle of the night, you wake up and feel alert. Maybe your thoughts race or you feel anxiety about getting back to sleep. This type of insomnia is called maintenance insomnia. It’s possible to even experience both of these problems in a single night. The truth is, no two people experience insomnia in exactly the same way. You may find your patterns playing out for weeks or months, only to find that they change at some point. Or your sleep difficulties may come and go. Take note of your sleep habits in a journal. How often are you waking? What time do you go to sleep? What time are you waking up? Are you going through any stresses? Are you experiencing illness or physical changes that may affect the quality of your sleep (such as menopause)? Are you taking any medications that may cause you to stay awake? What is your diet like? This information can help your sleep specialist advise you as to next steps. In addition to tracking onset and maintenance insomnia, you need to also keep track of the duration of your insomnia. Are you likely to have acute insomnia (short-term) or chronic insomnia (long-term)? Acute insomnia is notable for its brevity. It’s short-term, affecting your sleep over a brief period of time (one to several days, or up to a few weeks). Usually, the causes are related to life changes or temporary stressors that make it difficult for you to fall asleep or stay asleep until the stressor disappears. Acute insomnia of this kind usually resolves on its own when the circumstances change and the stress goes away. If needed, you can manage short-term insomnia with relaxation techniques or distraction to get your mind off your worries. Chronic insomnia lasts longer than acute insomnia, and is often more difficult to manage because the underlying causes vary. Stress can be a factor, but so can physiological and psychological issues, and environmental contributors, as well. To be diagnosed with chronic insomnia, you must have trouble sleeping at least three nights per week for at least three months, according to the National Sleep Foundation. 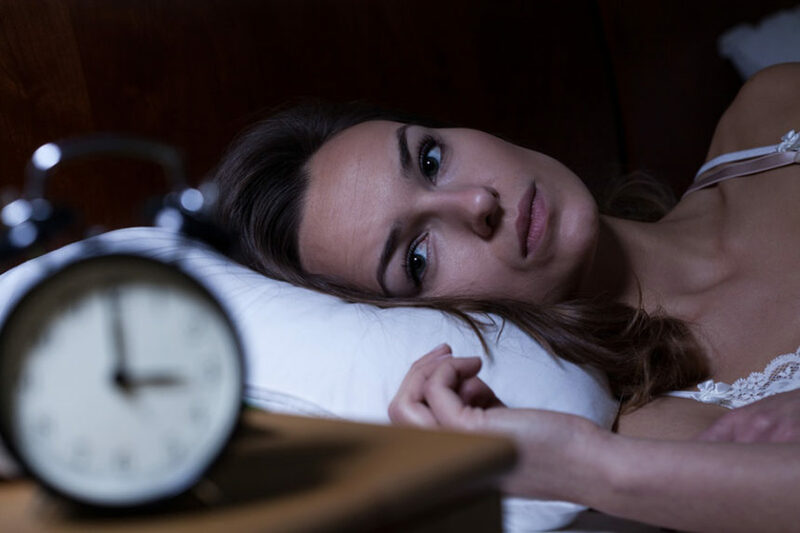 Unlike acute insomnia, which is typically simple to understand and treat, the underlying causes of chronic insomnia can be numerous and varied. Getting to the bottom of your sleep problem can be like a detective novel, where the suspects must be ruled out over time through a process of elimination. Teasing out the specific cause of your chronic insomnia can take time and may require patience. You and your doctor may need to work together to try different approaches, including cognitive behavioral therapy, acupuncture, relaxation techniques, exercise and diet modifications, and medication before you see a change in your sleep. If your insomnia is chronic and gets in the way of your feeling refreshed, rested, and mentally or physically healthy, confide in your doctor. Physical pain is another sign that you should schedule an exam. Your primary physician may refer you to a sleep specialist for diagnosis. A sleep medicine physician can examine you and order tests like a sleep study if needed. The goal of seeing a specialist for insomnia is to determine if your sleep problem has an underlying physical or psychological cause. Once this is known, you and your sleep specialist can work together to design a strategy for managing your symptoms and improving your sleep, and your overall health. Remember, getting enough sleep is not optional; it’s a critical part of staying healthy and reducing your risk of a number of different diseases and health conditions, including mental health problems, cardiovascular disease and cognitive issues.